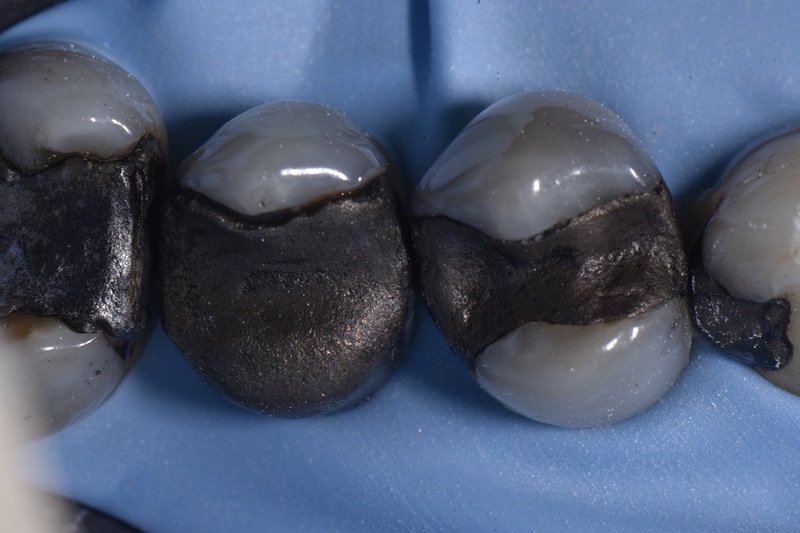 Hello Wednesday Warriors, (Note: Preparation photos only to demonstrate how minimally invasive a crown can be – all the old amalgam is removed, and the core is built up using bonded composite before the impression. 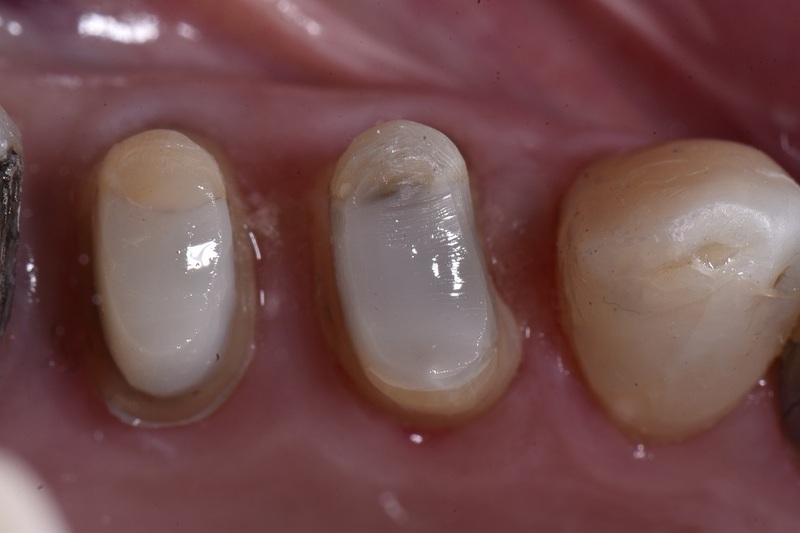 Now we are ready to cement the beautiful white porcelain crowns (IPS e-max). This is a real-life, real time case with demanding patients who require short multi-day turnaround times for cementation. 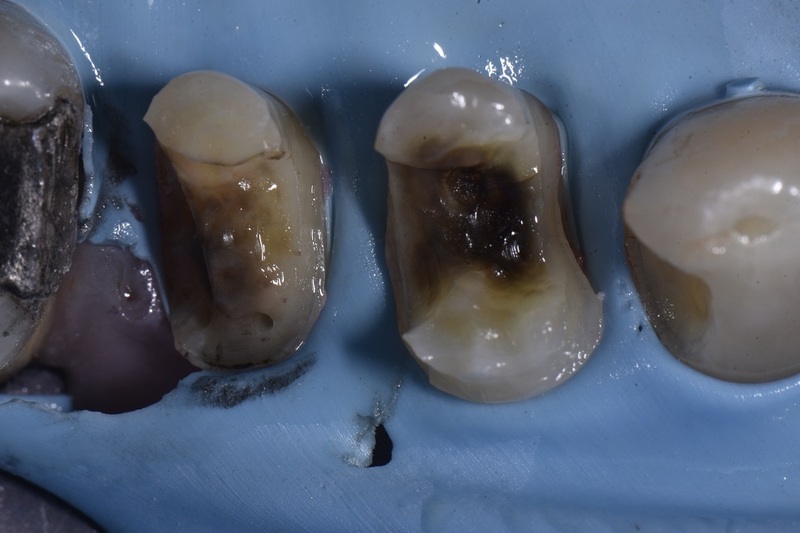 This case exhibited a large MODP amalgam on 25 and an extensive MOD on 24, both with significant cervical abrasion lesions on the B aspect. One way of ensuring your ultra-thin provisional in this area does break is to pre-operatively bulk the area up with flowable, or to use a coarse diamond bur to plasty the buccocervical aspect of the pre-operative Template to thicken this area. Both pre-operative and stump shades were taken with the shade tab in the horizontal orientation, again bringing the target shade area closer to the shade tab, decreasing visual fatigue. 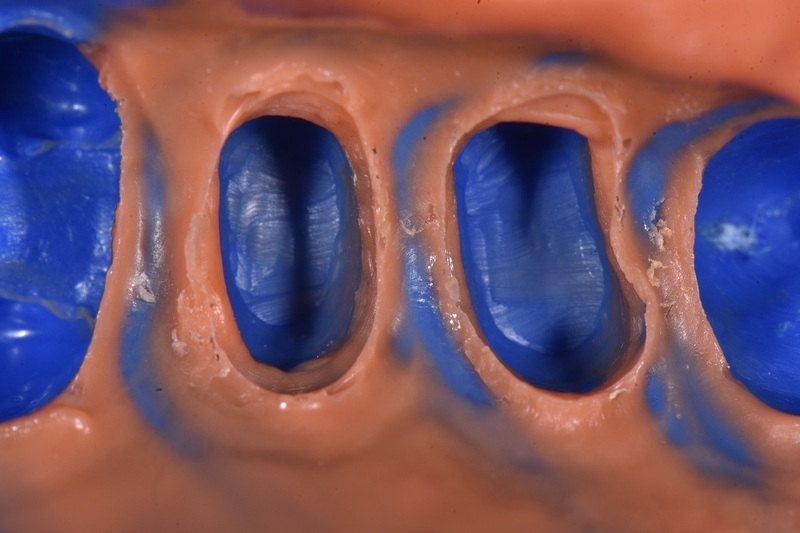 The final impression was taken with Voco’s fantastic #V_Posil A-silicone PVS material. When syringing the light body, the material in extra-light fast format feels very thixotropic, but actually is incredibly hydrophobic, allowing for deep penetration into sulcular areas where retraction hasn’t been “the best”. It doesn’t slump or drip, which is pleasant. The most pleasant feature is the non-flavored 2 minute working time, after which it is completely set. With provisional restorations that are incredibly thin, sometimes it isn’t possible to remove the provisional, so you have two options, either leave it in place via the shrink-to-fit technique as you would with provisionalizing anterior minimal preparation restorations, or what we did in this case was the use of #Voco #ClipFlow (a light-cured elastic composite that you can just flick off on cementation day) to both re-establish solid contacts mesially and distally as well as insulate the teeth for this quick 3 day turnaround. A tip is to place some Cervitec gel on the gingiva before doing this to ensure the best chance of having minimally-inflammed gingiva on seat day.